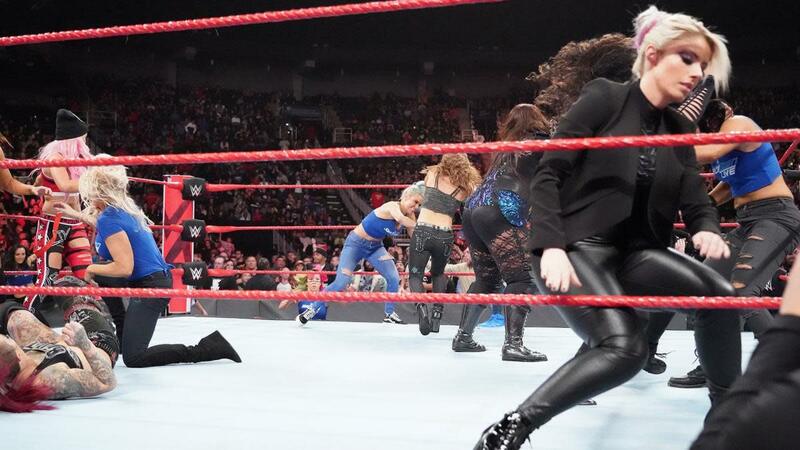 Raw remained at the same levels as recent weeks, doing 2.44 million viewers, up 9,000 viewers from last Monday. The loss of the overrun didn't help hour three, as the third hour was the second lowest third hour in the modern history of the show. It was likely unfamiliar to most viewers that the key angle wouldn't start before 11 p.m. so those who got into a habit of tuning back then only saw a few minutes. Raw also didn't get as much third hour benefit as in the past from people tuning in to see what USA Network was airing at 11:05 p.m. Although the overrun is supposed to be over, the show ended at 11:03 p.m., only one minute earlier than last week. The first hour was up from last week, but there were huge drops in viewers throughout the show, both in hour two and three. The 22 percent first-to-third hour drop is exceedingly high. The NFL game last night with the New York Giants beating the San Francisco 49ers did 10.05 million viewers, which is down from recent weeks. Raw was eighth place for the night on cable, trailing only NFL related programming on ESPN and shows on Fox News. In the 18-49 demo, women dropped 12 percent from the first to third hour while men dropped 16 percent, so the usual pattern of the past, where men hold steady and women tune out, that has changed over the last month, continues in its new direction.